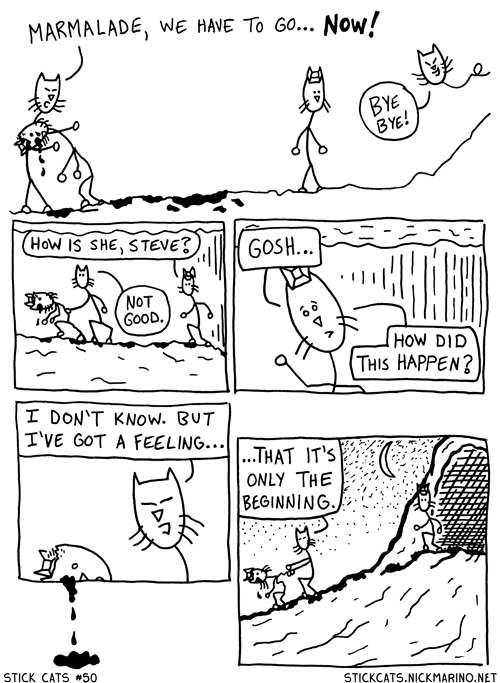 That's all for Stick Cats #3 - Act 0! I know, I know. Kinda on the short side. But there's more Stick Cats coming soon! In fact, I'm already 10 pages into Act II. But I'm not gonna post any pages until the full thing is complete. In the meantime, check out some of my other digital comics on my eBooks page... especially Heat Seeker and Passage! They've got a similar style. Thx for reading Act 0!! !